Perhaps you have to *enjoy* sushi in order to find sushi-themed accessories endearing. 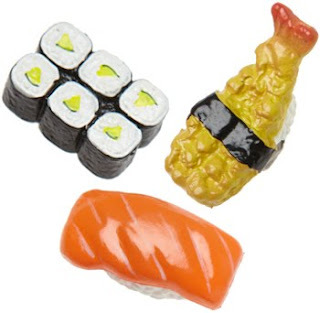 Sushi pillows, sushi erasers now there's sushi magnets. Since when did squishy raw fish products = cute?